Join or renew your Emerging Professional membership + get $15 off the member registration to the EP House Party. Now through this weekend, 3/19. 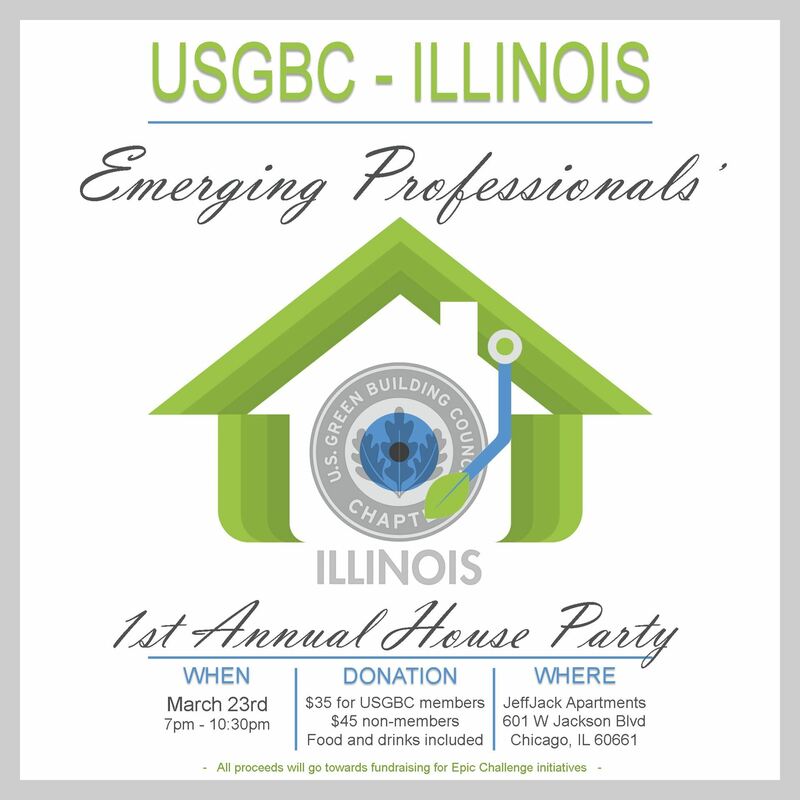 Join the USGBC-Illinois Emerging Professionals for their first house party! The evening includes networking, food and drinks, music, a chance to learn more about the EP Committee -- and help raise money for a good cause! All proceeds from this event will go directly toward the Epic Challenge, and will specifically benefit children in an underserved community in Chicago by providing them with sustainability education opportunities this summer. Thank you to our event host and generous program sponsors for supporting this event! We are a diverse group of young professionals dedicated to achieving USGBC Illinois’ new Project Drawdown-inspired strategic plan, the Epic Challenge. We educate, foster collaboration and create action within Chicago’s architecture, design, energy, sustainability and engineering industries to help achieve the Epic Challenge’s three ambitious Illinois-specific goals. Together we can make our state and city more sustainable and prosperous. We are looking for sponsors to support this event and initiative. Click here to view sponsorship opportunities. Please contact Joan Martin at (312) 245-8300 x205 for more details about sponsorship.